Salaam a name known for quality and excellence bring's you the finest basmati rice found in Punjab today. Grown for the past 7,000 years on the uplands terraces of the Mountains. 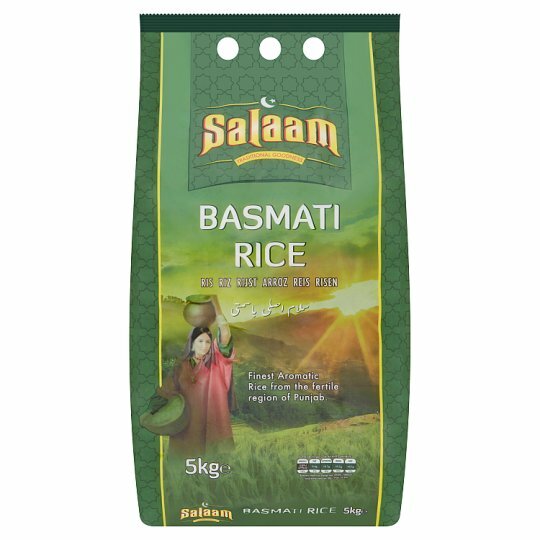 Salaam Basmati Rice with a delightful delicate aroma and delicious flavour becomes an ideal addition to any savory dish. Hob (From Ambient): Suggested method of cooking. Place 250g into 450ml of boiling water stir once and return to gentle simmer. Cook covered for 7-10 minutes until tender. Remove pan from the heat and allow to stand for 5-6 minutes before serving.